What is an ELM OBD Chip? ELM OBD is known to be an IC that is used for the vehicles compatible with the standard OBD-II (On Board Diagnostics) protocols. The primary purpose of these ELM OBD chips is to fetch the data of the car engine (ECU) to perform car diagnosis. It is a 16-pin Male chip that is plugged into OBD-II port, a female OBD-II interface of the cars. All cars, manufactured since 1996, are OBD-II compatible with this ELM chips. Using Bluetooth and Wi-fi technologies, these OBD-II chips can now provide data that can be transferred instantly on server. The data is used for predictive analysis and more given what other technologies and sensors one can built around it. Why Car Tracking & Diagnostic Application Development is needed? Any individual or a fleet owner would like to cut down the maintenance cost of the vehicles for sure. Only a few years back, people could determine neither the health of vehicles they drove nor what exactly happened when any vehicle broke down. They simply ended up paying hefty maintenance bills and got on with that. Some would care getting into the details, but only through the experts which also consume their time and efforts. IoT technology has changed the scenario completely- Now your car actually talks to you whenever you want. Leveraging IoT and Bluetooth/GPS technology, it is now possible to fetch all the data from car’s ECU. Predictive analysis is performed in order to derive the results. This will show if the vehicle needs a service on a particular part, which would help vehicle owners to exactly know what needs to be done. OBD-II Based Car Diagnosis: what the Market holds? Given the innovations around us, OBD-II based car diagnostic app solutions hold a better future in terms of business and making lives on the roads safer than ever before. Now we will explore how car diagnostic application is the best option we have for the automobile industry and what exactly is in it which makes this wonderful solution a matter to consider for our own good. Want to develop OBD based Car Diagnostic Application? Many other technologies can be incorporated with OBD-II based car diagnostic application in order to provide a tailor made solution as per business needs. Fleet management system for instance, will require to monitor the driving behaviour along with health of all the vehicles with a data management system in which data of all vehicles can be stored effectively. To serve this, GPS based real-time tracking can be implemented with car diagnostic application development. Also a custom software development can be merged to store data of each of the vehicles in the fleet to cut down the fixed maintenance costs. Geofencing is also an option when the push notifications are required on entries and exits. The total cost of developing a OBD based car diagnostics app on Android and iOS platforms with backend would be in the bracket of $8000 - $9000. Here is a detailed breakdown of the costs as per the features we can help you add to a mobile app. Our expert Chatbot developers build chatbots that can be cherry on the cake. 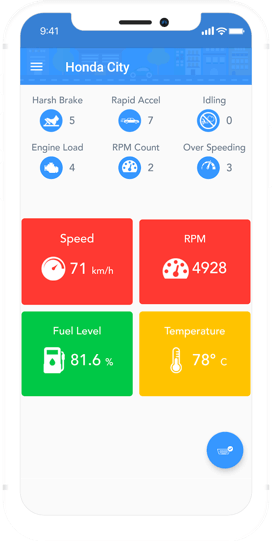 With Vehicle diagnosis Chatbot Development, users will get to know about the vehicle acceleration, RPM, Fuel level, temperature etc. in conversational easy steps. Users can book appointment with the mechanics via chatting with the mechanics or garages. When users initiate the chat, the Chatbot will check calendar and help users with available slots booking. Allow Siri, Cortana, Alexa and Google assistant help your users talk with the app with their voice command. 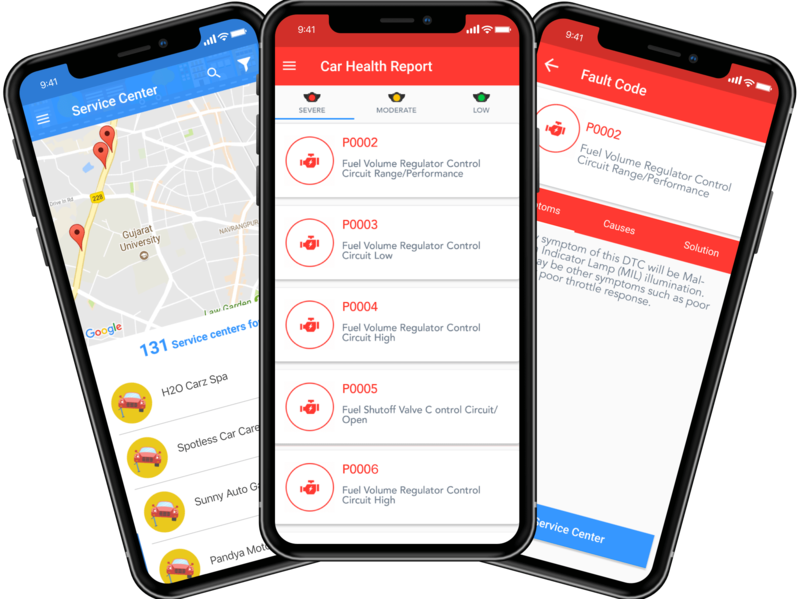 Integrate voice assistance along with your mobile app to provide vehicle health report via voice commands and grow your business. These are analytical tools that help you make unique insights out of user data for your OBD based diagnostic application. For instance, after having mapped all the harsh braking and rapid acceleration through in a month, you can suggest the user to user to join for a driving class or to visit a garage to check vehicle engine based on the predictive analytics. For brand partnerships, more sophisticated data provision helps as you can project the route of a user with greater accuracy thereby empowering your partners to target geography specific ads. Who can be the potential Clients of the OBD based vehicle diagnosis system? 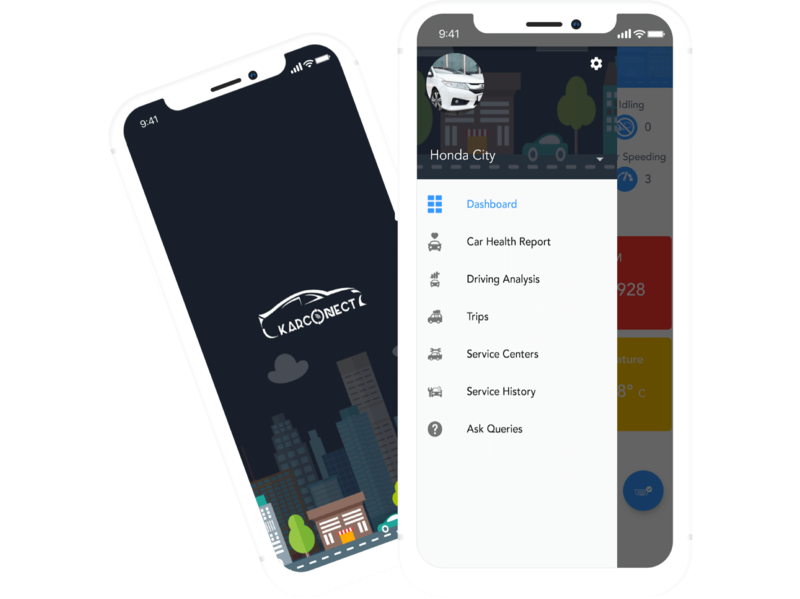 How Let’s Nurture can help you for Car Diagnostic App Development? Are you looking for an exclusive ELM OBD Based Car Diagnostic Application Development? How long does it take to make ELM OBD based car diagnostic application? The duration of development depends on exact features and functionalities of application that will be mentioned by you. Usually, it takes 10-12 weeks. Have an !dea to develop an ELM OBD Based Car Diagnostic application?